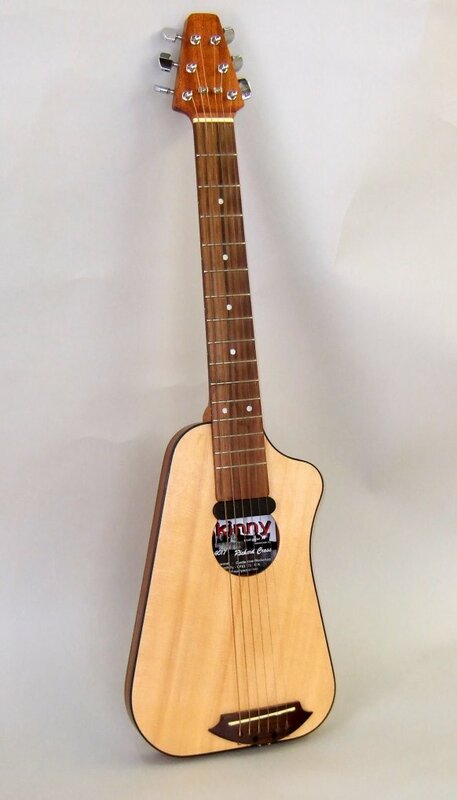 Spruce top, Sapele laminate back and sides, Khaya neck, 15 fret radiused fingerboard, Artec SMC-35B magnetic pickup. 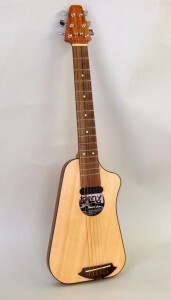 At only 34mm thick this is probably the thinnest acoustic guitar available. Designed for the rigours of travel, lightweight and robust. There are two carbon fibre tubes to stiffen the neck and no batteries are needed to operate the magnetic pickup. The acoustic sound is bright and has surprising volume. Available in left handed versions.